Contact us now by clicking the icons below. 641 people died from Mesothelioma in 2014. Don’t allow your staff or family to die from asbestos. QBM are the experienced and trusted asbestos identification professionals. Work Health and Safety Legislation makes the implementation of “Emergency Management Plans” (Fire and Evacuation Plans) mandatory for all workplaces. QBM will work with you to develop plans that are specific to your business and industry, and conduct training so that all staff are better equipped to handle any eventuality. Whenever construction and infrastructure works are undertaken, all adjoining properties need to be inspected prior to commencement to identify the current condition to protect all parties, including the Builder, Developer and Home Owner. QBM undertake professional Dilapidation surveys throughout Australia. Quality Building Management (QBM) specialise in professional building inspections, reporting and training services, for the Strata Title, Body Corporate and Commercial Real Estate markets. We specialise in Asbestos Audits, Fire Safety and Evacuation Plans. Our team has completed thousands of building inspections, forecasted for Sinking Fund reports and trained in asbestos, fire safety and risk assessment through Australia in areas such as Brisbane through to Cairns, Sydney, Melbourne and over to Perth. Our portfolio of satisfied customers includes Mater Hospitals, Hungry Jacks, Bank of Queensland, Ergon Energy, Australian Hotels Limited and Queensland Ports Corporation. QBM have a team of people trained to help you through the audit process, conduct training or assist with any building inspection or strata title services, contact us now if you would like a quote. 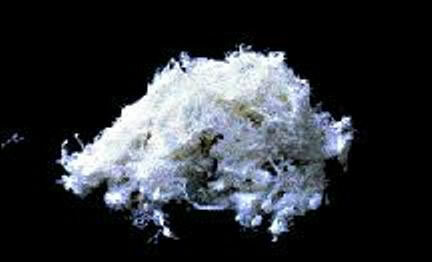 Asbestos is in the news frequently in Australia, for good reason. There is a massive effort to eradicate or safely seal all asbestos containing products (ACM) and structures nationwide, in attempts to prevent asbestos disease from claiming more Australian lives. Asbestos audits are required in non-residential buildings, and homeowners are encouraged to remove or contain deteriorating asbestos products. Today, home renovations are not undertaken without government guidance, to prevent releasing asbestos. All Australian States have specific Fire Safety Regulations in place to ensure every workplace provides fire evacuation plans and procedures as well as instructional diagrams and appropriate training for all staff. QBM has implemented these requirements for thousands of businesses and organisations throughout Australia. QBM work with you to ensure your building standards meet the current legislation. Before work commences we report on the state of the building, ensuring that only the work you may be liable for needs to be undertaken. We test asbestos, complete audits and reports as well as organise the removal of asbestos. Building Fire Safety regulations are a great priority, we can train your entire staff and report on the building compliance. QBM have the experience, knowledge and training to service all of your training needs. With the changes to legislation and the increasing responsibility to business owners and Body Corporate Managers, QBM can lift even more of that burden from your shoulders. As a business owner or manager, you have a responsibility to ensure your staff understand the safety risks present within the workplace. You are also required to ensure that they are equipped with the knowledge and skills to handle a potentially dangerous situation. High standard training can prepare your staff by enabling them to prevent or safely respond to dangerous situations. Description: with the new Work Health and Safety Regulations, all employers are legally required to alert their staff to hazards and health risks of asbestos in the workplace and this course is the comprehensive guide for all the informative facts and statistics. The occupier of a building is required to provide all workers with general evacuation instructions within two days of commencing work and then annually, and first response evacuation instructions to workers within one month of commencing work and then every two years. This course delivers to building occupants and staff, the skills and knowledge to prevent and respond to varying emergency situations in their workplace. It demonstrates the correct procedures and appropriate equipment to use in the event of an emergency. Please contact us for more information or to book with us.